My name is Laura Ferrell and I am an instructional technology coach at Oak Lawn-Hometown Middle School in Oak Lawn, Illinois, a suburb of Chicago. Our public school is comprised of over 1200 students, grades 6th through 8th. Two years ago we became a 1:1 environment, with a netbook using Linux in the hands of every student. Our vision for learning at our school is to create a classroom environment that is collaborative and creative. We value the idea that technology, and it’s integration into the classroom, must be purposeful. The concept of digital storytelling pervades all content areas and is peppered throughout the Common Core, and I was looking for a tool that would allow students to tell a story that was interactive and engaging. We have found GoAnimate for Schools to be a tool that provides a simple, yet intuitive platform for storytelling. We utilize GoAnimate for Schools in a variety of content areas. In Language Arts class, students created animations for a unit of study on summarization. After reading a book, students selected characters, choose settings and wrote a script to express their ideas, all within the program. Our special education population has had equal success with the program, using GoAnimate for Schools to create planetary comparisons through a conversation between characters. Teachers have reported a high level of engagement while utilizing the product, along with a richer understanding of the content being assessed. 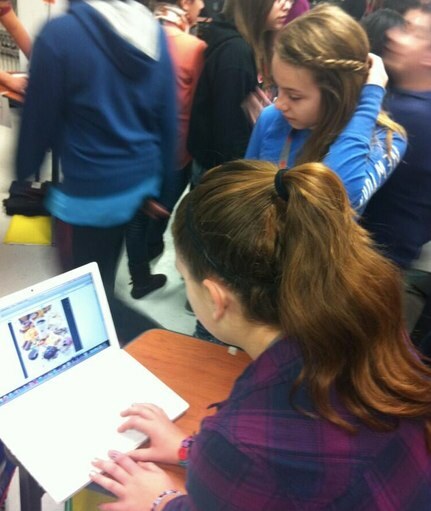 We found sharing animations to be easy as well, and students completed gallery walks to showcase their learning. Teachers and students alike appreciated the ease of the drag-and-drop function and the minimum amount of learning curve associated with the product’s use. Other ideas for implementation include a teacher creating an animated lesson for a class or making a math animation with a word problem generated by a student. I’m eager to hear how other schools are using GoAnimate for Schools to create a more student-centered, technology-rich classroom. Be sure to check out our school at www.d123.org/olhms, follow the hashtag #olhms and follow me at @LFedtech.